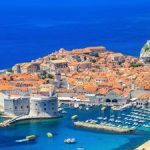 Zagreb to Dubrovnik UNESCO & Jewish Heritage Sites Holiday [2019 / 2020] Book Today! Starting in Zagreb, this 10-night package holiday takes you to the most interesting UNESCO and Jewish heritage sites in Croatia. Enjoy the specialised Jewish heritage guided tour of Zagreb, exploring this historic city and unveiling the many secrets from its turbulent past. In the evening, dine in chic restaurants in Zagreb Old Town and explore the romantic streets of Zagreb Upper Town. 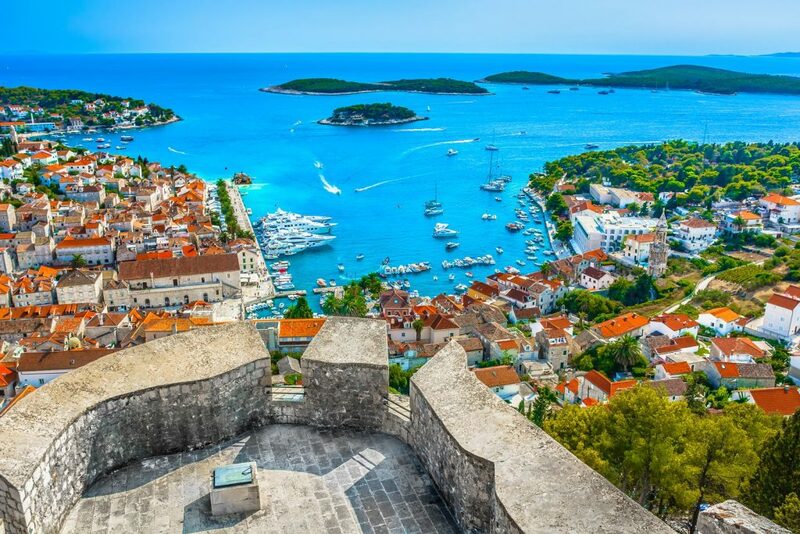 From Zagreb, we’ll organise a private taxi transfer to the coastal city of Zadar for you, set on a small peninsula and famous for the remarkable sea organ. Enjoy a guided tour of Zadar and relax by the beach. 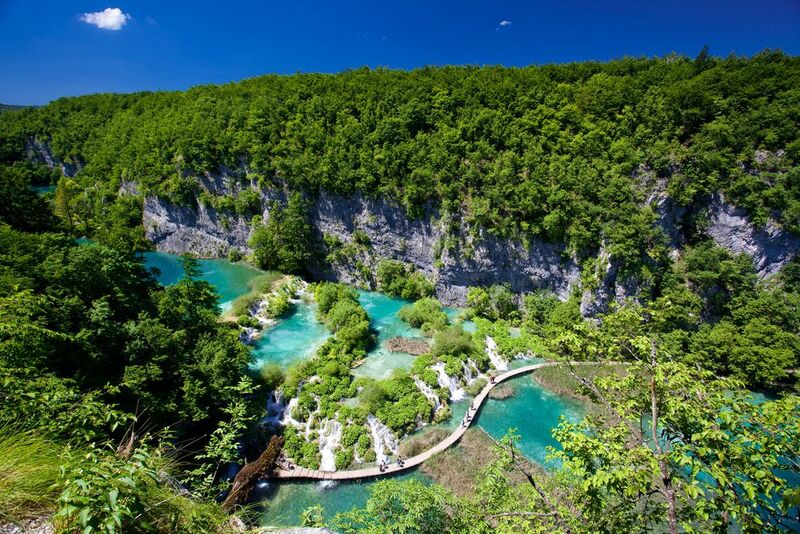 From Zadar, we’ll organise a day trip to enchanting Plitvice Lakes for you. 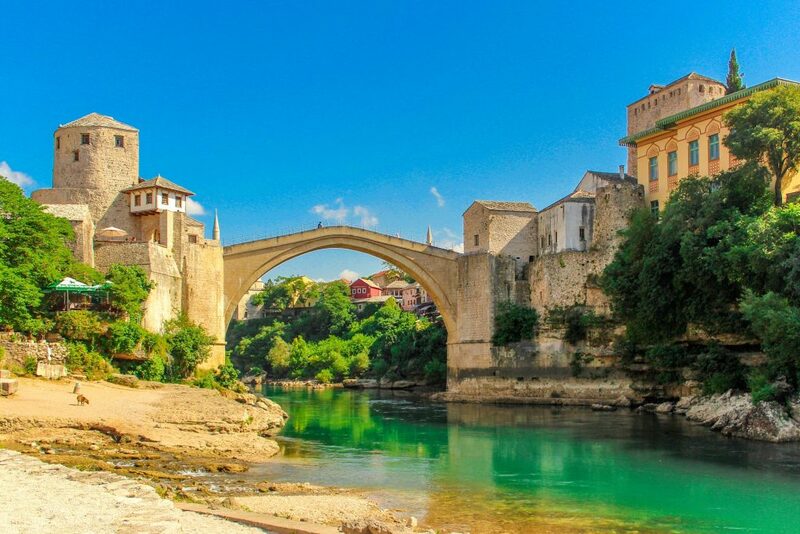 From Zadar, this tour takes you further south towards Split, where you’ll have a chance to explore the magnificent Diocletian’s Palace and enjoy a specialised Jewish heritage tour of the city. 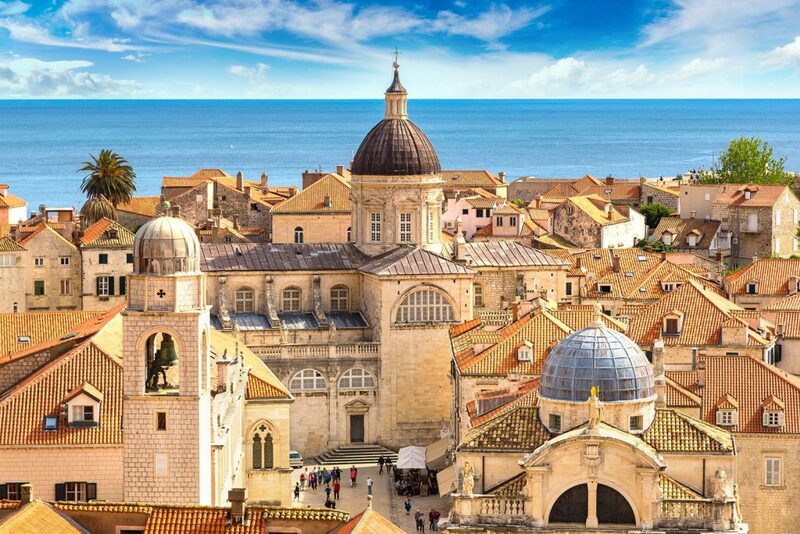 Your last stop is beautiful Dubrovnik, famous for its massive Medieval walls and the historic Old Town. 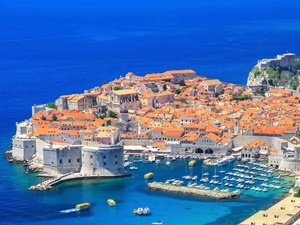 Embark on a specialised Jewish heritage tour of Dubrovnik and learn more about the life of the Jewish community and about this city’s remarkable history. Extra nights in Venice and/or Sarajevo can be added to this holiday package. A personal driver and tour leader can accompany you on your trip (please contact us for more details & prices). Our driver will pick you up from Zagreb Airport and drive you to your hotel in Zagreb centre. Visit the Botanical Garden, the Archaeological Museum or stroll the Medieval Upper Town. 2- night accommodation in Zagreb. 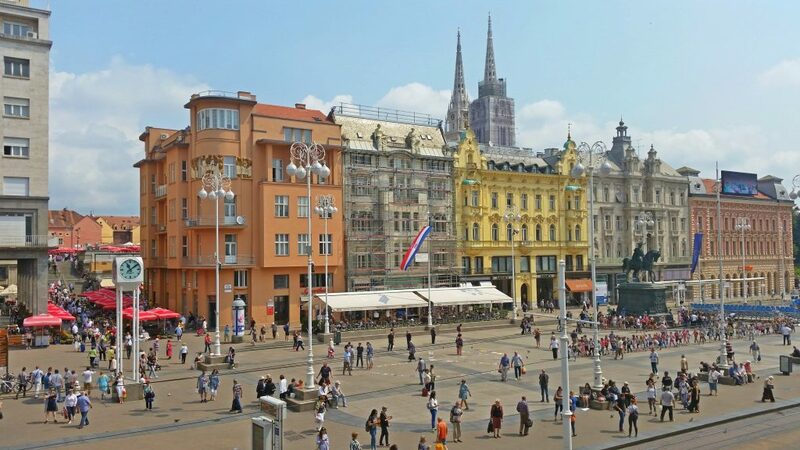 After breakfast, we’ll organise a private guided tour of the Croatian capital city of Zagreb for you. 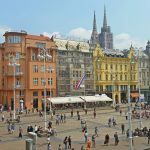 This tour will cover all the main sights in Zagreb Lower and Upper town, as well as introduce you to the history of the Jewish community and Jewish heritage in Zagreb. Our guide will pick you up from your hotel and take you on a private guided tour. Our tour includes visits to all the landmarks and sites of Zagreb, with detailed insight into the history of Jews in Croatia and surrounding areas, and the revival of Jewish life today. Visit the Jewish community and Synagogue, the Mirogoj cemetery, the Jewish school in Zagreb, and the Judaica collection housed by the Museum of Arts and Crafts. Explore the site of the former Synagogue and various examples of Jewish architecture. In the evening, try the local specialities in one of Zagreb restaurants! We are happy to recommend a few places and make a reservation for you. Breakfast & check out of your hotel in Zagreb. Our driver will pick you up when you’re ready and drive you to Zadar. Arrival in Zadar & check into your hotel. In the afternoon, we will organise a private guided walking tour of Zadar Old Town for you. The beautiful, historic city of Zadar was the capital of Dalmatia for many centuries, with continuous habitation for 3000 years! The walled Old Town is a treasure of ancient city ruins and architecture from Roman and medieval times, infused with the ingenious blending of the many periods of history passed inside its fortification walls. 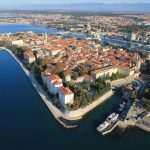 The two modern installations, the Sea Organ, and the Salute to the Sun, add to the innovative charm of Zadar, and its stunning seaside promenade. 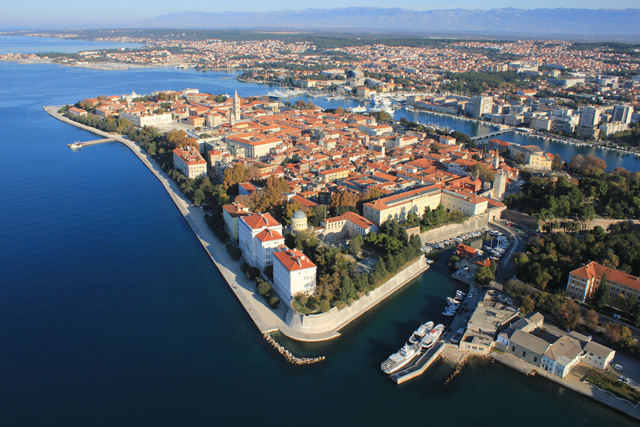 After the tour of Zadar, your guide will drive you to the nearby Medieval town of Nin, the first Croatian royal town. Private walking tour of Nin & time for exploring. After the tour, enjoy a drink or dinner in Zadar Old Town or visit the Zadar Archaeological Museum. We are happy to recommend a few places and make a reservation for you. 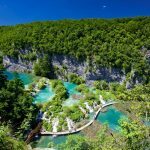 Today, we’ll organise a private guided day trip to the UNESCO-protected Plitvice Lakes National Park for the two of you. Our guide will pick you up from your hotel in Zadar in the morning. The park consists of sixteen lakes, often called “the sixteen silver steps”, and rightly so. 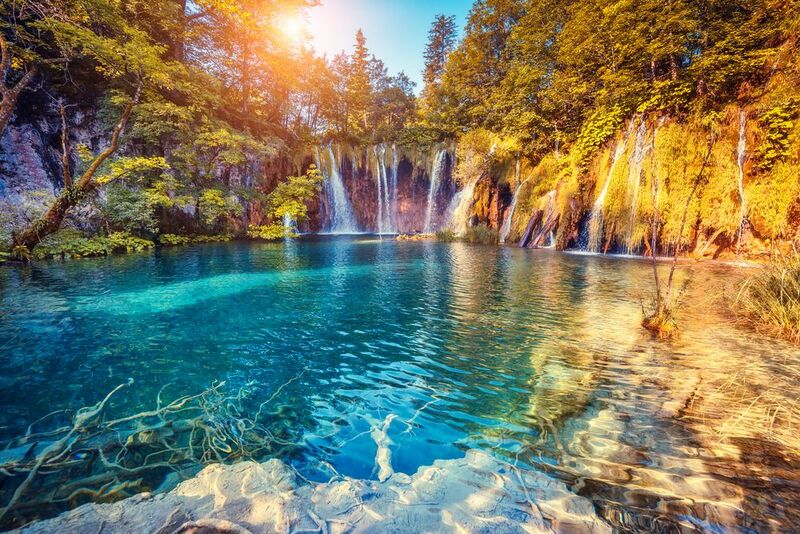 Literally translated from Croatian, Plitvice is a word derived from the term for “shallow waters”. It was first mentioned in a document from the late 18th century. Once you arrive, you’ll be hooked by the beauty of stunning green and blue lakes and many waterfalls. The lakes look as wonderful on warm sunny days, as they do during the dark winter months, covered by layers of snow and ice. Wondering through the lakes literally feels like going up and down these watery stairs. The biggest among them are Kozjak and Prošćansko lakes. Return to your hotel in Zadar in the afternoon. In the afternoon, we will organise a private walking guided tour of Split Old Town & Jewish sites for you. 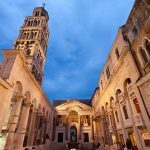 This private tour will begin with a walk through the 1700-year-old Diocletian Palace that will reveal the little-known Jewish aspects of what was first a pagan and then a Christian compound. Then we will enter the ghetto, via the Jewish Passage, to visit the Synagogue, where we will meet the leaders of the small congregation. You will be introduced to a fascinating history of Split’s Jewish community, their role in the cultural and economic growth of Split but also, the sad fate of many who perished in WW2. Finally, a light hike to the Jewish Cemetery on Marjan hill follows where we will see fascinating tombstones, some with rare double carved “illuminated” Hebrew letters, of Split’s most celebrated Jews. Duration of the tour is some 3,5-4 hours. 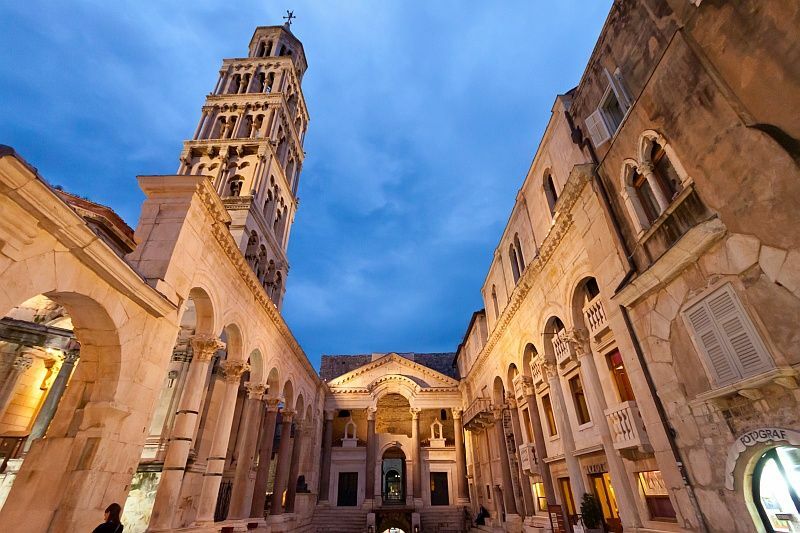 After the tour, stroll the historic streets of Split & enjoy a drink or dinner in the Old Town. 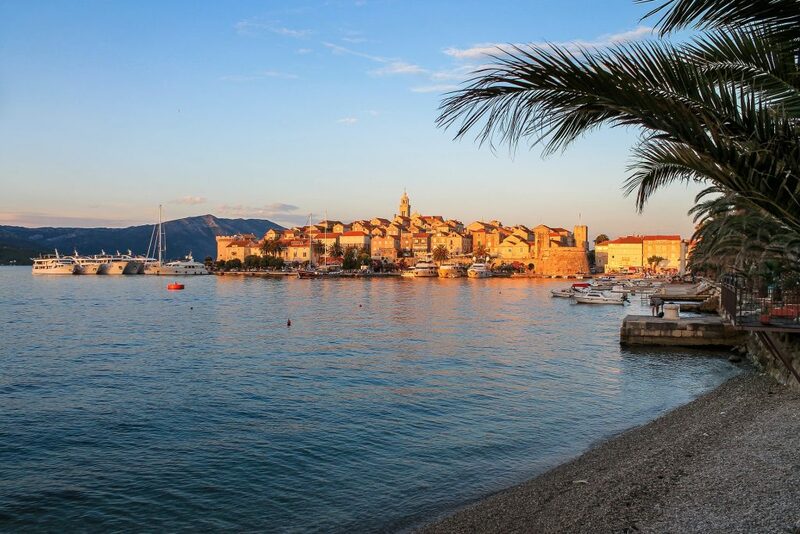 Today, we’ll arrange a day trip to the UNESCO-protected Medieval town of Trogir for the two of you. Our driver will pick you up from your hotel in Split in the morning & drive you to Trogir. Situated on a small island and about an hour drive away from Split, Trogir is a historic small town, listed on the UNESCO list of World Heritage Sites for its Venetian architecture. Its Medieval town with buildings, churches, and palaces is probably the best-preserved Romanesque & Gothic complex in the Adriatic. The Cathedral of St Lawrence is the most remarkable building in Trogir Old Town, important for its portal, a masterpiece by Radovan, the famous sculptor of Croatian medieval art. Option: we can organise a private walking guided tour of Trogir Old Town, or you can explore it on your own. Return to your hotel in Split in the late afternoon. Enjoy your free time in Split. Alternatively, we can organise activities, day trips or excursions for you (see the list below). 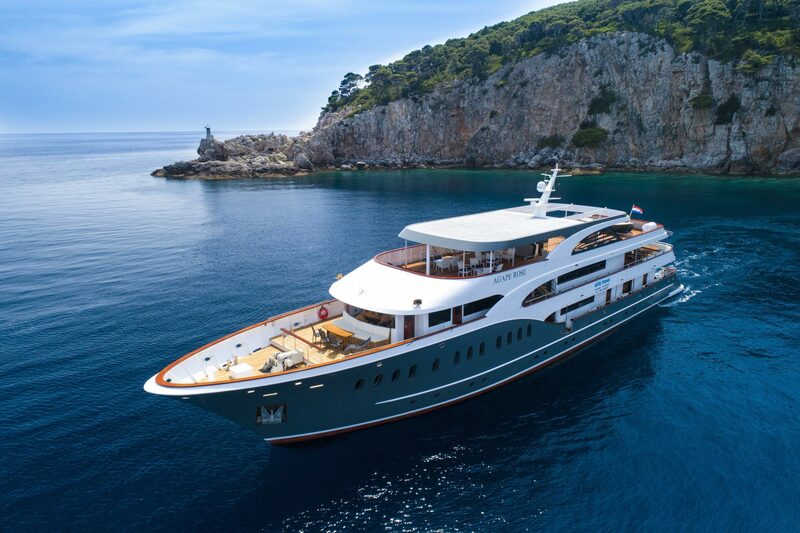 Check out from your hotel in the morning & board the catamaran from Split to Dubrovnik. Arrival in Dubrovnik at 12:00 & private transfer to your hotel in Dubrovnik. Enjoy the rest of the day to relax by the beach or explore the city. Today, we’ll organise a private walking guided tour of Dubrovnik for you. Visit all major sites in the Old Town: Main street – Stradun, Onofrio’s fountain, Orlando’s Column, Bell Tower, Sponza Palace, Rector’s Palace, Old Farmers’ Market, Old Port, Dubrovnik Catedral. One of the most interesting places of Dubrovnik is Old Jewish Quarter. Old Jewish Quarter consists of Jewish Street “Žudioska Ulica”, Dubrovnik Synagogue and Jewish museum. Our guide will present to your delightful stories and anecdotes from everyday life in the Jewish Ghetto (established 1546, in present-day Zidovska ulica Jewish Street). During this part of the tour, our guide will also emphasize the diverse influences on the Community that happened to be unique to this part of Europe. Also included in the tour is the visit to the museum of Dubrovnik Jewish community, which is located in the same building as the synagogue. Entry fees included. Duration of the tour is 3,5 4 hours. Take a cable car up the Srđ Mountain to enjoy the magnificent view over the Adriatic and Dubrovnik City Walls or visit the charming Lokrum island.